NORTH BAY — Canadore College is looking to a “brighter, happier” future. 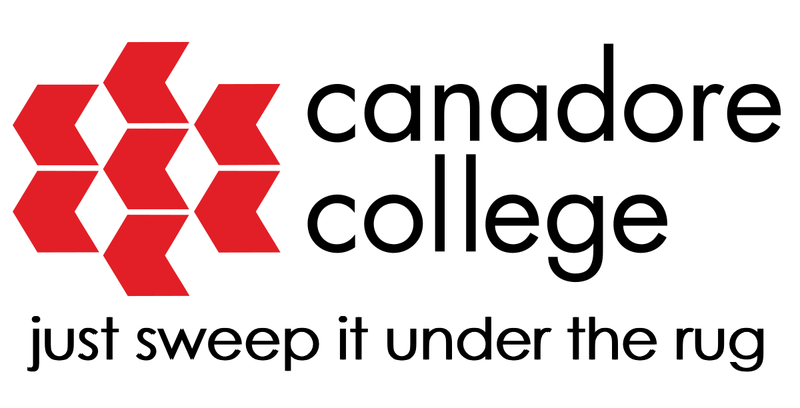 Ken Garrett, Head of Canadore’s Public Relations, announced the College would be changharassing its official slogan from “Great Things Happen Here” to “Just Sweep It Under the Rug” to fit with the College’s new, “more carefree,” focus on education. The slogan change comes at a turbulent time for Canadore, as the College has recently been rocked by several allegations of misconduct. The announcement follows hard on the heels of the College’s recent decision to ban all women from its campus.